A lovely article by Witze in last week’s Nature inspires thinking about how to get bacteria to behave as unhealthily as lines of humans drawn as if by magnets to burger joints. The Nature article notes that the radioactive isotope iron 60 does not form on earth. The tiny amounts found in seabed sediments come from supernova explosions. The Munich physicists Shawn Bishop and Ramon Egli wondered if the event could be dated. Sure enough, iron 60 was found only in sediments from exactly 2.2 million years ago (Bishop, S. & Egli, R. Icarus 212, 960–962, 2011, perhaps coming from a supernova in the Scorpius–Centaurus stellar association to be incorporated into magnetotactic bacteria in the sea. By happenstance, these events occurred at the very time when modern humans were first emerging. This is interdisciplinary science at its best! But, doesn’t it make you wonder why some bacteria have special machinery to synthesize magnetic particles? 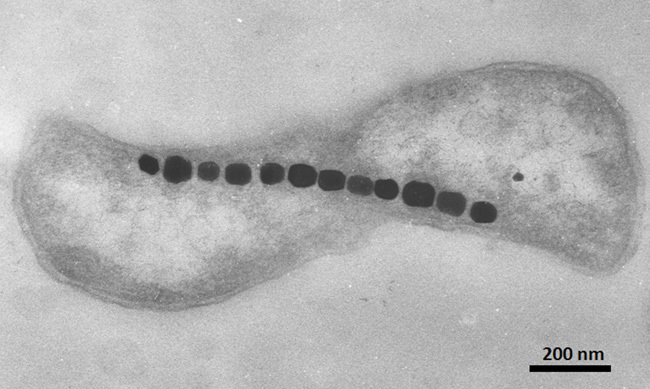 One clue is that they tend to be anaerobic bacteria that live near a boundary with oxygenated water. Their magnetic crystals align them with the earth’s magnetic field, so they can swim only along the earth’s magnetic lines. How could that help, given that the earth’s magnetic fields go north and south? In the northern hemisphere, the magnetic lines dip downwards into the earth, so by turning their flagella counter clockwise and swimming straight towards the pole, they can reliably dive to deeper depths where there is less oxygen. 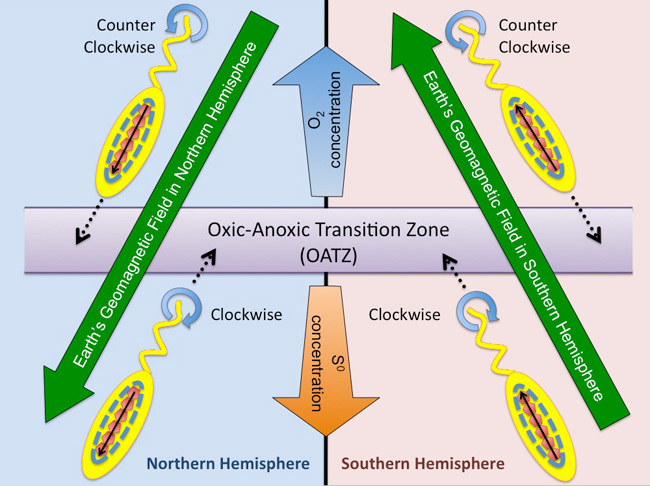 In the southern hemisphere, the magnetic lines go up instead of down...so to get to the depths and away from oxygen, bacteria that evolved there swim away from the pole. We should be careful about these types of bacteria that could be dangerous for the health of every person. I am making all the precaution that are meant to be good.